DUBAI (Reuters) – Iran successfully tested a cruise missile on Sunday during naval exercises near the Strait of Hormuz, state media reported, at a time of heightened tensions with the United States. 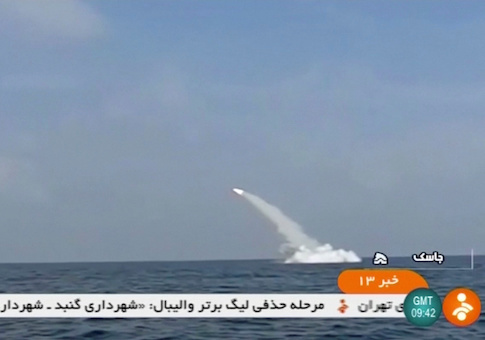 "On the third day of the … exercises, a Ghadir-class Iranian navy submarine successfully launched a cruise missile," official news agency IRNA reported. Separately, a senior Revolutionary Guards commander said Iran had been aware of "enemy efforts" to sabotage its missile program and neutralized them, the semi-official Tasnim news agency reported. "But so far, they have failed … because we anticipated (the sabotage plans) and made reinforcements."